29 Lukie Points will be rewarded to you when you buy this. I had a blast playing as the Fighting Vipers going up against the Viruta Fighters. The game is broken down into score attacks for the one player mode, similar to the latest version of VF5. Each group you beat unlocks a new fighter for the roster. If you enjoyed playing Virtua Fighter 1-3 or Fighting Vipers you'll enjoy playing this game as well. 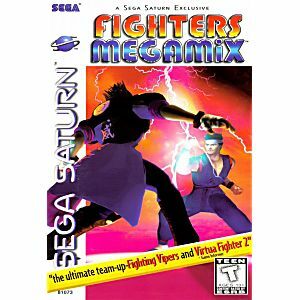 Sadly, the Sega Saturn didn't last long enough to produce a huge catalog - so the amount of fighting games available are limited. Fighter's Megamix is the very best. It combines the addictive arcade action of Virtua Fighter 2 & Fighting Vipers and blends in a bunch of wacky secret characters for good measure. Half of the fun of this game is unlocking all of the absurd fighters like a palmtree logo, a piece of meat, a car - and even the kid version of a few of the VF characters! 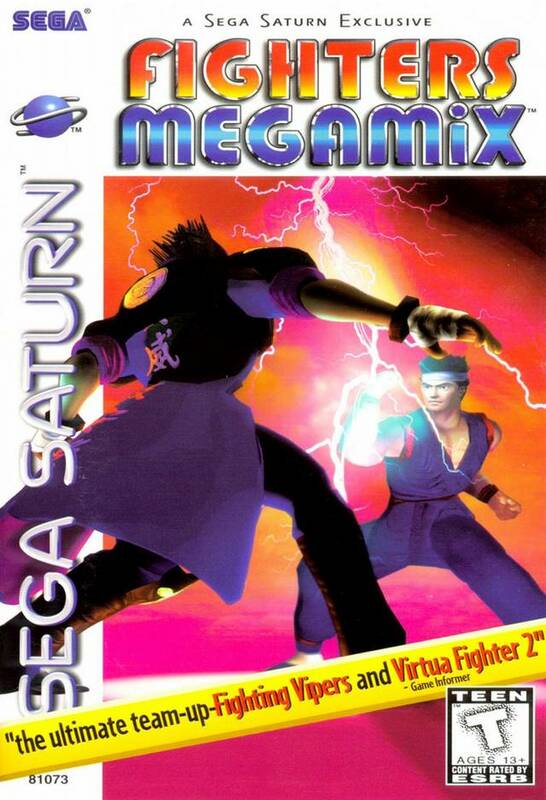 Overall, a solid fighting game for the Saturn.